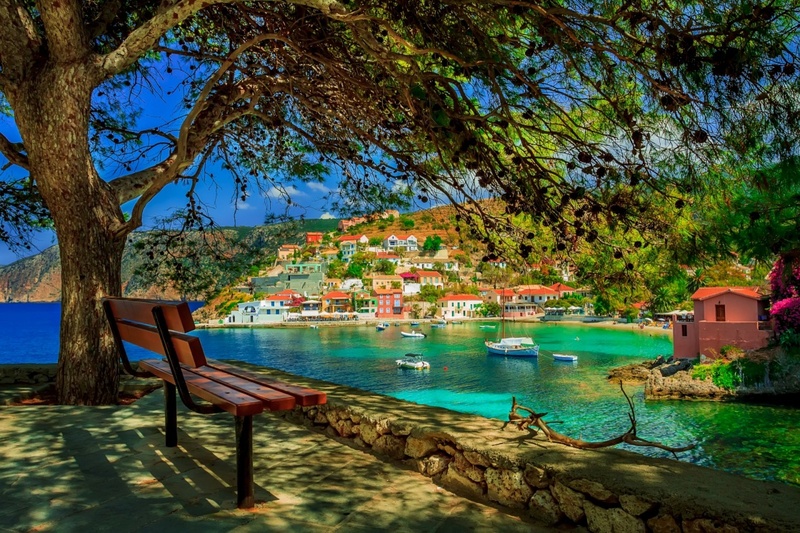 As the largest island of the Ionian Sea and one with rich history and interesting geomorphology, there are definitely a lot to see on Kefalonia. Nature has done its miracle once again forming unique caves, lakes and lagoons along with an impressive coastline and peninsulas. Even though the island suffered the devastating earthquake in 1953 which destroyed a great number of important sites as well as most of the towns, there are still ancient ruins standing, whereas most of the findings are on display in the Archaeological Museum in Argostoli. Kefalonia is renowned for its mysteries like the disappearing sea water in Katavothres and the mystical cave of Melissani. Katavothres is one of the most visited sights on the island since the sea water disappears through cracks near the shore. For years scientists could not explain this phenomenon and did not know where the water went. They eventually performed an experiment using a coloured chemical substance which they put in the water from Katavothres. 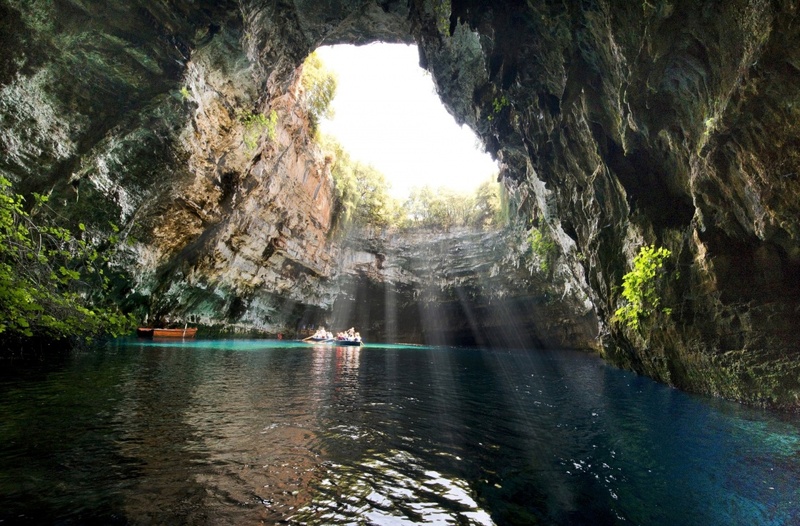 They found out that the water crossed the whole southern part of the island underground, forming holes in the limestone and ended up in Melissani Cave. This cave is located in Sami, in the east coast of the island and there is a blue lake in it. When the roof of the cave collapsed and the sun rays reached the surface of the lake the water reflected on the walls of the cave creating a mystical atmosphere ever since, especially at midday. The discovery of ancient ruins showing that the cave was a sacred place dedicated to Pan, the ancient god,only added up to the mystery. According to the legend, Melissanthi was a nymph who killed herself in the lake because Pan rejected her. Others say that Melissanthi was a local girl who drowned when she lost one of her sheep and accidentally fell into the lake when she was trying to find it. Another cave near Sami and the cave of Melissani is the Drogarati cave. It was discovered 300 years ago after an earthquake revealed the main entrance. It is 60 metres deep, the temperature 18 degrees and the humidity is 90%! The age of the cave has been estimated to 100.000.000 years and only a part of it is accessible. 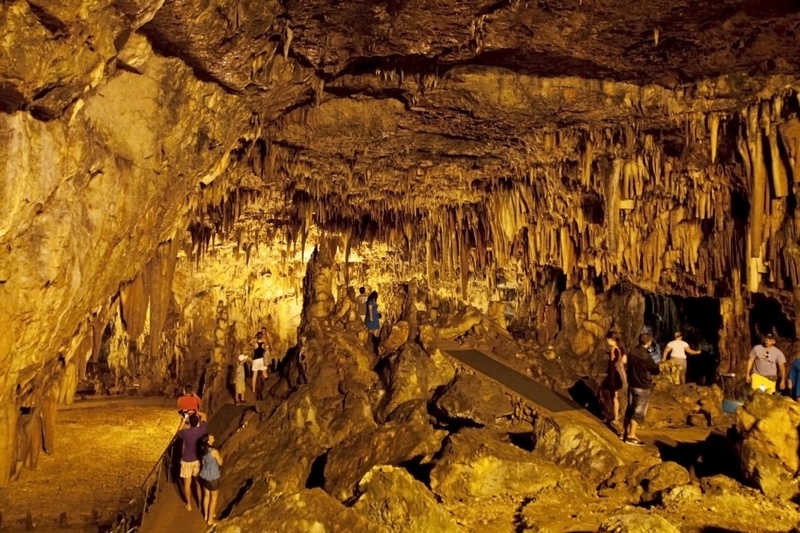 It is probably connected with other caves in the area and because of its great acoustics many cultural events have taken place here. Other sights worth visiting on the island of Kefalonia are the castle of Agios Georgios, the Kipouraioi monastery and the De Bosset bridge in the lagoon of Koutavos. The castle was built in the 13th century in order to fortify the then capital of the island which was located there. Because it was meant to prevent possible attacks, the view from here is absolutely breathtaking! It is well-preserved with loopholes, observatories, towers and part of the walls still standing. 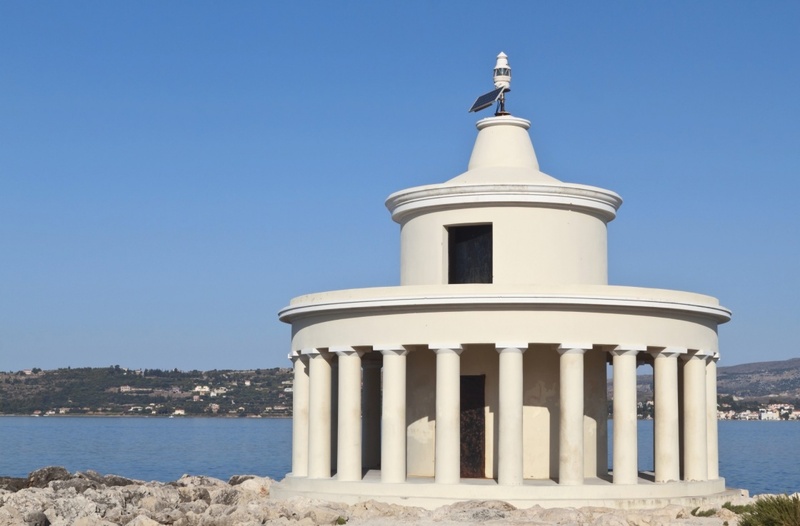 Here Kefalonian nobles used to be buried and it is allegedly connected with Argostoli with an underground tunnel. De Bosset bridge was named after the British governor who was responsible for building it. It links the lagoon of Koutavos with the other side of the bay and it was built in order to make the access to the capital easier. Nowadays it is a pedestrian street. Even though Kipouraioi Monastery is not the only beautiful and historic monastery on the island, it is worth mentioning it here because in the present day there is only one monk living there. He rebuilt most of the buildings of the monastery by himself after the French bombed it accidentally in 1915 and the earthquake destroyed what was left in 1953. The view from here is also amazing as it is built on the edge of the rocks near the shore. Kounopetra and the lighthouses of Agioi Theodoroi and Gerogompos are some of the landmarks of the island. The first one is a big rock near the village of Matzavinata which used to move rhythmically by itself. However, this stopped after the earthquake in 1953. Agioi Theodoroi is a lighthouse initially built by the British, but the local authorities rebuilt it after it was destroyed as most of the island during the catastrophic earthquake of 1953 according to the original architectural design. 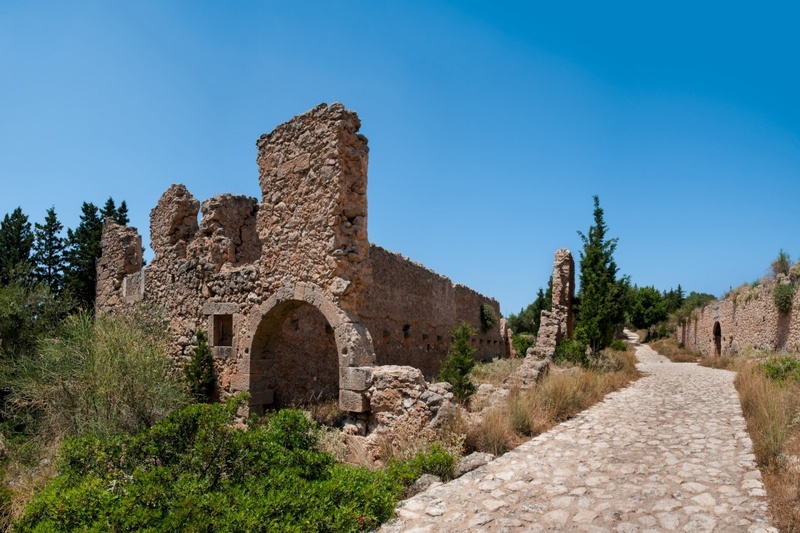 Some of the most important archaeological sites of the island are the ancient cities of Sami and Krani, the Mycenaean tombs and several ancient Greek temples. For more information click on archaeological.